If within 30 days of your initial service you do not experience a noticeable reduction in your initial pest problem, we will keep coming back until you are satisfied. If at that time, you still have not experienced a reduction in your initial pest problem, just notify us in writing within 10 days, and we will give you $25 dollars for your time and inconvenience. An additional treatment for pests covered will be promptly rendered between regularly scheduled services at NO CHARGE for as long as your agreement is in effect. NO other pest control company will make this level of commitment to you! 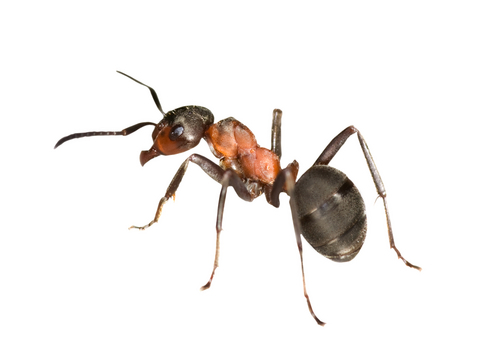 We also offer commercial pest control services in Atlanta and the surrounding area. See our Insect and Wildlife Photo Gallery to help you identify insects and animals that are common pests in Atlanta. We are pleased to be able to offer green extermination services that still provide an effective means for controlling common household pests. Environmentally conscious pest control means that you can have effective pest control in Atlanta that also mitigates potential threats to your family, pets, employees and the environment. Ask our representatives about our green pest control services today! We can humanely and promptly remove any problem animals from your home or business and make it more difficult for them to re-enter. We’re the best solution for wildlife removal! We offer additional services to improve your living comfort. From home gutter protection or home moisture control to home insulation services that increase energy efficiency, we are an innovative company that offers great pricing and fantastic workmanship.